The PS4 won’t be available to Americans until November 15th. 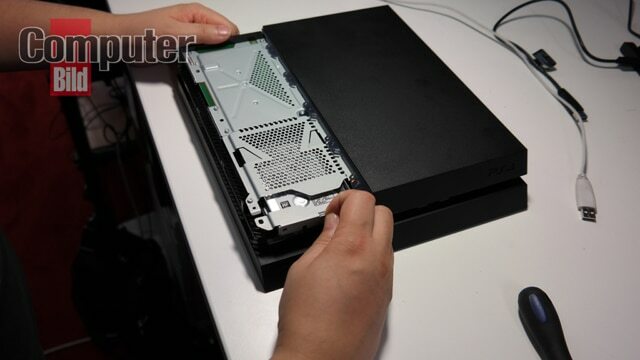 To ease the wait, in an exclusive video to Wired Magazine, Sony engineering director Yasuhiro Ootori tears down the PS4 console and demonstrate what’s inside the console. While talking in Japanese and captioned in English, Yasuhiro shows all components inside the PS4 system. The engineer talks about how they integrated the PSU inside the console so the customer have fewer inconveniences. Taking out the Bluetooth antenna, Blu-ray drive, and hard drive, Octori removes the motherboard and shows its components like the CPU, GPU, memory, WiFi antenna. Other than that, Ootori also shows external components attached to the motherboard including the USB 3.0 ports, PlayStation Camera AUX connector, Ethernet, HDMI, and optical audio. The video also shows that the heat sink is attached to the upper shield plate.